March 21 is National French Bread Day. This food holiday is the perfect time to indulge in a comfort food that few can resist. There is nothing quite like the taste of a crusty loaf of French Bread. This tasty bread is simple, versatile and the perfect side for so many dishes. It’s quite fitting that it has its own special day. French bread is also known as a baguette. The normal recipe for it contains only flour, yeast, salt and water. According to a food legend, it was Napoleon who first asked for a baguette to be formed into a long, and thin shape. He thought it would make it easier for his soldiers to carry their bread around on the battlefield by stuffing it down their trousers! By law in France, bread cannot have extra oil or butter! In the USA, the term French Bread refers to a loaf of bread that is long and thin. But outside the US, the term can refer to all different types of loaves of bread. 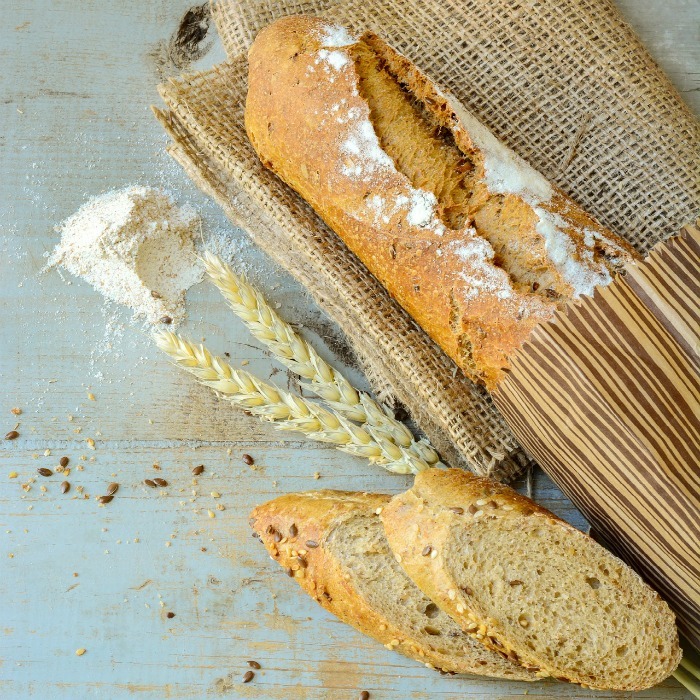 The French have been making long, thin breads since the middle of the 18th century. Why a long thin shape for French Bread? The shape of a baguette allows for the maximum amount of dough to gain exposure directly to the heat in the oven. This produces a thick crust which the French people love. Most baguettes of French bread are 2 to 3 feet in length and only 3-5 inches across. 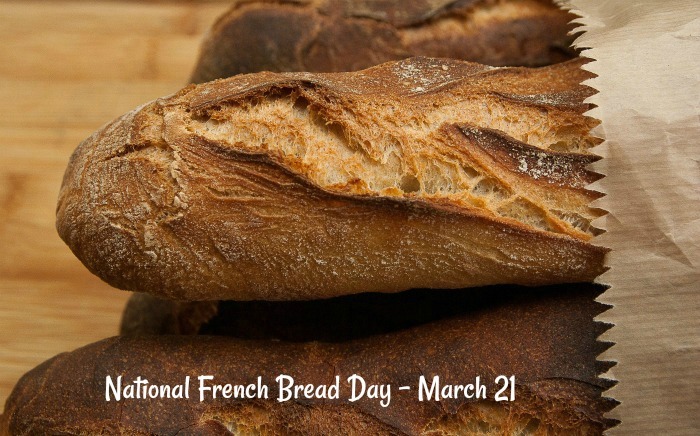 Spread the word on social media by using the hashtag #nationalfrenchbreadday. Read the storybook Monsieur Saguette and His Baguette to your child. Find out how Monsieur Saguette uses his imagination to transform a baguette into something extraordinary. 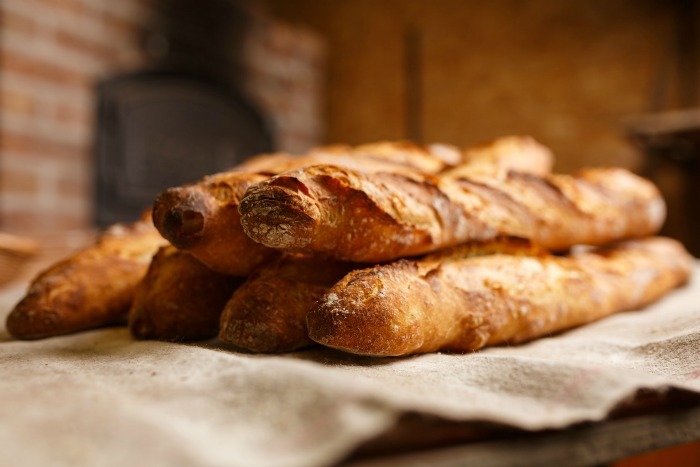 Take a French cooking class to learn how to make French bread. Treat a cooking friend to a dough couche, a cotton pastry proofing cloth designed for baking French Bread baguettes. Buy a loaf of French bread and use it to soak up the gravy in your favorite beef stew. French bread is a very versatile bread. You can use it in both sweet and savory dishes. They make a great base for bread pudding and a wonderful accompaniment to a bowl of French onion soup. Slice your loaf of French bread into thick slices and garlic, butter, basil and parsley for your own home made crusty garlic bread. A loaf of French bread makes a great base for party appetizers. Just add some olive oil and bake the slices in the oven and add your favorite toppings. See these cranberry and pecan crudites for a tasty example. Take a thick slab of French bread and turn it into an extraordinary BLT sandwich by adding bacon, avocado and Colby Jack cheese. Short on time and the dinner hour is here? 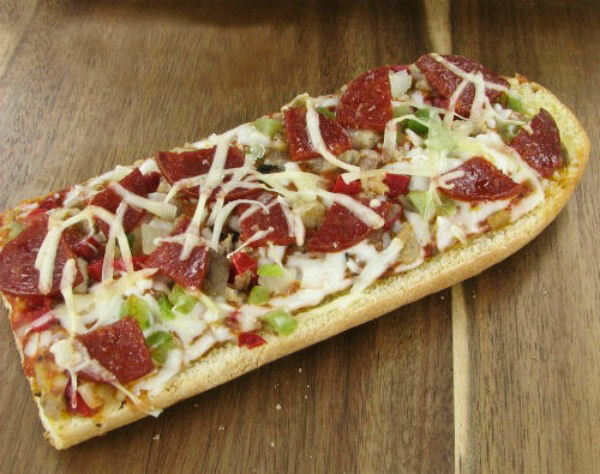 If you don’t have time to make a home made pizza crust, just use chunks of French bread as the base. You can print out a recipe below. 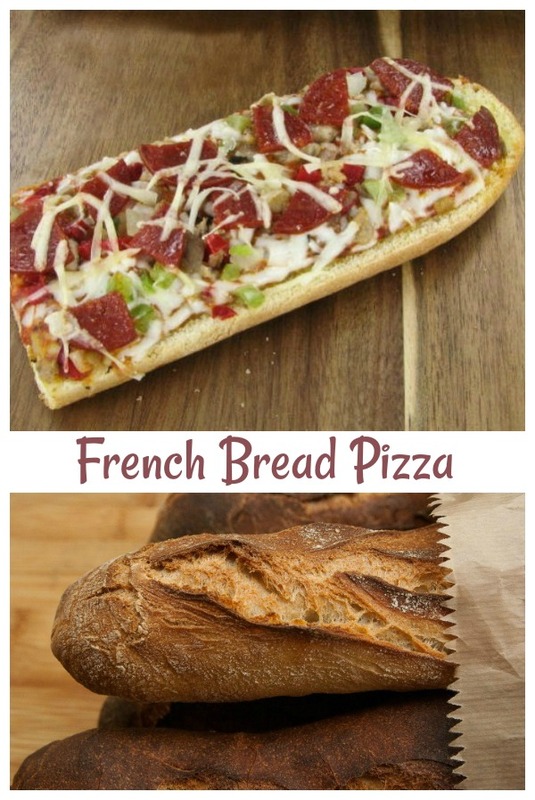 If you would like a reminder of this recipe for French bread pizzas, just pin this image to one of your foodie boards on Pinterest so that you can easily find it later. Turn a loaf of French Bread into pizzas with this easy recipe. Line baking sheet with parchment paper or foil. Slice the loaf of French bread in half and then down the middle making four pieces. Spread the pizza sauce over the bread. Top with Italian herbs, Mozzarella and the other toppings. Bake for 10-15 minutes in the preheated oven.